Emerging technology, new deal structures and innovative ways of delivering value are giving travelers more options than ever when they shop for air. Meanwhile providers are looking for more channels to reach those travelers with more creative and compelling content. Among the multitude of developments arising to meet these twin challenges, one of the most significant is the International Air Transport Association’s New Distribution Capabilities (NDC) technical standard. According to IATA, the initiative promises to bring improvement in the retailing of air products by addressing long-standing problems in the global distribution systems with differentiation and time-to-market, as well as access to full and rich air content. Opinions differ, however, on NDC’s potential impact. And even those eager to see improvement are careful to give the GDSs their due. Qualantone notes that GDSs have created platforms through which airlines can supplement their fares with the ability to offer richer content and branding, sell add-ons such as seats and bags, and create unique bundles. From a cost perspective, the GDSs provide massive benefit to the airlines, according to Qualantone, since they have created an environment where airlines can distribute their content to millions of people and thousands of agencies instantly. At the same time, he acknowledges that the GDSs must continue to innovate and evolve to show value in the travel space. This includes continuing to work with agencies and airlines on ways to advance the travelers’ experience, whether that is through improved content, more servicing capabilities or additional access to information. She reports that her company has been systematically growing the depth and breadth of ancillary content available in the Sabre GDS, and is investing heavily to improve the presentation of this content. Enhancements include integration of branded fares, more seat maps and rich media content. Morgan says the new Sabre Red Workspace allows airlines to merchandise and market their offerings to agents in a new and compelling way, enabling more upsell and better brand differentiation for carriers. “We continue to remain an important advisor to airlines, helping them to understand the nuances of merchandising through the agency channel versus ‘airline.com,’ and in driving agency adoption with the ability to process ancillaries across the workflow,” she says. Gianni Pisanello, director, airline strategy for Amadeus IT group, voices similar optimism. 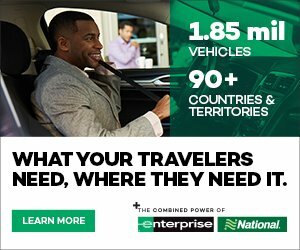 “We think that there is plenty of potential for New Distribution Capabilities to revolutionize travel retailing across our industry,” he says. Amadeus has been active in the NDC standard since its inception, Pisanello points out, and has been moving forward quickly with the standard as contributors in the IATA work streams, and as the first to implement NDC v1.0 in production with United Airlines in 2014. Since then, Amadeus has achieved both Level 1 certification as an aggregator, and Level 3 certification as an IT player. NDC is in a different place than it was a few years ago, Pisanello maintains, and now is the time to start talking about the industrialization of NDC. He points to the evolution of the standard with greater maturity and stability, the critical mass of airlines making serious investments in this area, and increasing awareness and engagement from the industry. For NDC to be successful, he adds, the industry needs to commit to use IATA NDC version 18.1, adhere to the IATA NDC Standard and the IATA Implementation Guidelines, implement the NDC services that travel agencies need, and ensure that performance is kept top of mind. “The industry cannot afford to degrade the performance achieved today with the existing infrastructure,” Pisanello says. He also argues that true standardization is a must, meaning there should be an agreed version and agreed implementation guidelines adhered to across the industry. This should keep costs lower and enable interoperability between airlines. Tristan Smith, vice president of global transportation, supply at Egencia, does not see substantial constraints in the technical capabilities of the GDS, considering it an important component of the company’s platform and a key technology partner. She touts the ability to comparison shop and provide a consumer experience that sits seamlessly alongside a program that delivers policy, corporate personalization, duty of care, profile management and management reporting. It’s not that GDSs can’t continue their development to meet all the needs of suppliers and passengers, says Thane Jackson, vice president, global distribution & channel strategy, BCD Travel. 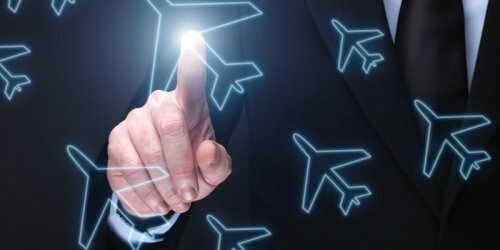 “It’s a question of significant development effort, time and who should pay to introduce new technology when doing so will benefit all constituents in the value chain – particularly suppliers and distributors.” He notes that Sabre and Travelport have already achieved IATA's NDC certification Level 1, and that Travelport is additionally certified as an IT Provider Level 2. “Considering how slow the airline industry has been to adopt a universal NDC standard, we think NDC development and certification by GDSs is necessary for a broad rollout of the new standards,” Jackson says. At Airlines Reporting Corporation, decades of practical experience are being supplemented with new thinking prompted by NDC. Everyone will have to evolve their systems, Mangold says, and that change will happen more rapidly than in the past. “An interesting question is that for any airlines that don’t have capability, do we support a traditional model for those that have not migrated yet?” he says. In addition to providing travelers the products airlines want them to purchase, Mangold adds that moving forward, it will also be a challenge to keep in sight the services which occur downstream after the traveler has accepted the offer, such as refunds and ticket changes. "These processes are extremely important," he says. "We have to make sure we get that right." The potential impact of NDC on direct booking is not entirely clear. Morgan says that the vast majority of airlines recognize the value of the GDS channel, noting that Sabre has signed over 40 carriers to full content agreements already this year, with several more in the process of renewal. While many perceive a link between a surcharge on only one channel, the adoption of NDC and the drive toward direct connect bookings, Jackson says they are in fact distinct concepts. “A direct connect is like a pipeline that allows an individual customer to access an airline’s content without going through a third-party intermediary like a GDS,” he says. He notes that the NDC standard can be adopted without any direct connect, and that all three major GDS companies have committed to using the NDC standard to connect to partner airlines. 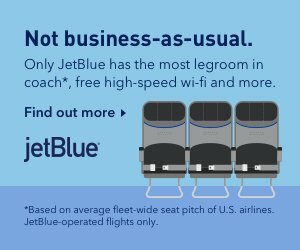 “An airline-imposed GDS surcharge simply shifts the cost of distribution from the airline to the end user and further unbundles airline costs that had traditionally been included within the fare,” Jackson says, comparing the shift to the introduction of fees for bags, seats and meals. At the same time, it belies the reality that all channels have a cost. “We’re seeing distribution surcharges introduced in markets where the competitive landscape is driving legacy carriers to assess new ways of making money,” he says. “They may also be seen in markets where travelers have less ability to book around the fees by flying aboard a competing airline.” He points out that Lufthansa Group introduced its GDS surcharge but noticeably pushed direct connect strongly in a market it dominates (with much public controversy), and that British Airways and Iberia followed suit. Air France and KLM have announced they will levy a similar surcharge beginning April 1, according to Jackson. “We expect other airlines to follow in markets where low competition gives travel buyers few alternatives for booking away to avoid the fee,” he says. Jackson foresees relatively slow change in this area. He offers a reminder of other technologies such as e-ticketing, which – although it produced major cost savings for virtually every player in the travel industry – nevertheless took over a decade to adopt. “NDC won’t be adopted overnight, and no magical ‘event’ will flip the switch from legacy distribution to NDC,” he says. Instead, the transition will be ongoing and lengthy. “We don’t believe that NDC will lead to the demise of GDS companies,” Jackson says. He predicts that bookings will increasingly move to the mobile channel, noting that countless mobile solutions are vying for the attention of travel managers, including evolved OBT offerings, artificial intelligence, chatbots and more.